1st year history students were treated to a hands-on, hilarious, heart-warming, humourous and historic work shop at Leixlip library this afternoon! 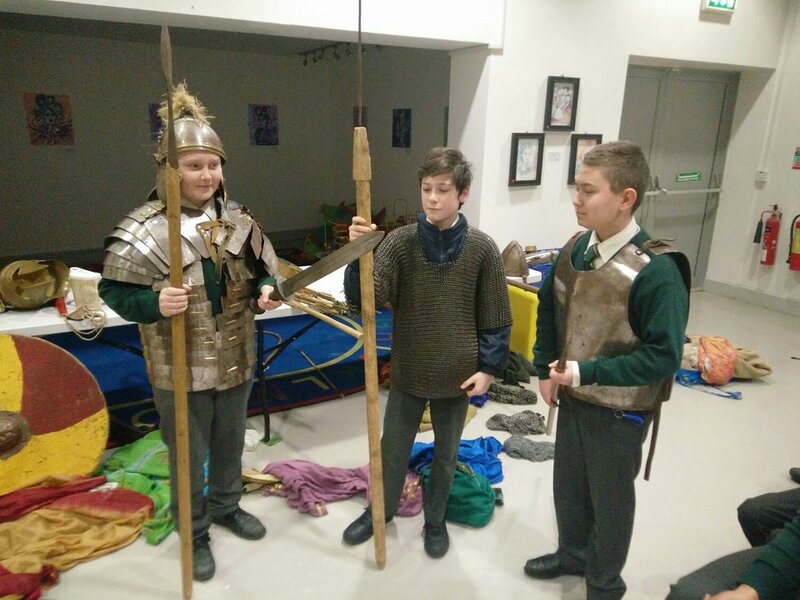 Students got to try out weapons, armour and costumes donned by our Stone-Age ancestors up to Roman times while simultaneously being entertained (and discretely educated!) by our tremendous host Mick.